Friends and families of North Shore Community Mediation Center enjoyed an afternoon of wonderful music by Symphony by the Sea at their March 4th benefit concert – “It’s Music to Our Ears” ~ Bernstein and Beethoven in Beverly – at the Cabot Theater. 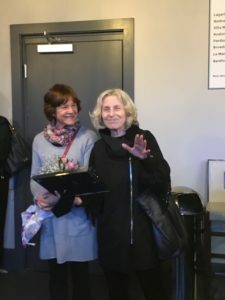 The concert was followed by a reception at the theater honoring the Executive Director, Cynthia McClorey, with the Harmony Award for almost 20 years of service. A special thank you to Eastern Bank, our Corporate Sponsor for the event and to everyone who attended and those sponsors and donors who have contributed to the Center’s work throughout Essex County.